Living in Japan somewhat spoils you for the local cuisine. Visit a top Japanese restaurant in London or New York and whilst everyone else is cooing over the exotica you usually find yourself thinking that something isn't quite right. But it doesn't need to be an expensive night out on the town in Tokyo, even the cheapest bowl of ramen will often be outstanding. And that's before the garlic. And if you want only garlic, well there's that too, at a chain by the name of Niniku-Ya (the Garlic Shop). Tako-yaki (octopus chunks in dough) is excellent at midnight on the way home and okonomiyaki, a form of filled pancake, will set you back but a few dollars and goes great with a beer. In fact almost all Japanese food goes well with beer, wine being something of an afterthought. Uni, sea-urchin, is something of an acquired taste having the consistency of mushy sea water but natto (fermented beans) remains for a limited audience; it smells a little like baby sick. Basashi, thinly sliced raw horse meat, may sound a little off-putting but is actually delicious and of course, sushi and sashimi are a delight. Kobe beef will set you back a pretty penny but katayaki-soba (deep fried noodle) will satisfy the need without breaking the bank. So if you come to Japan, enjoy the cuisine, it's quite an experience. 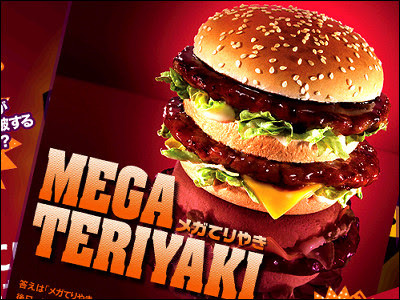 And if you can only stomach McDonald's, at least try the teriyaki burger, it's actually not that bad.